As a guest of our Nature Hotel Edelweiss you will receive the Premium Holiday Pass free of charge. With this South Tyrolean guest card, you can use all public transportation free of charge. This includes all regional trains, local buses and many cable cars. The mobile card must be validated before the first ride. From this moment on, the card is valid for the next seven days. Upon availability, even babies, trolleys, luggage and wheel chairs can be transported free of charge. The same applies for guide dogs and small animals. Furthermore, holders of the guest card South Tyrol will benefit from a vast leisure and activity program in the local area. 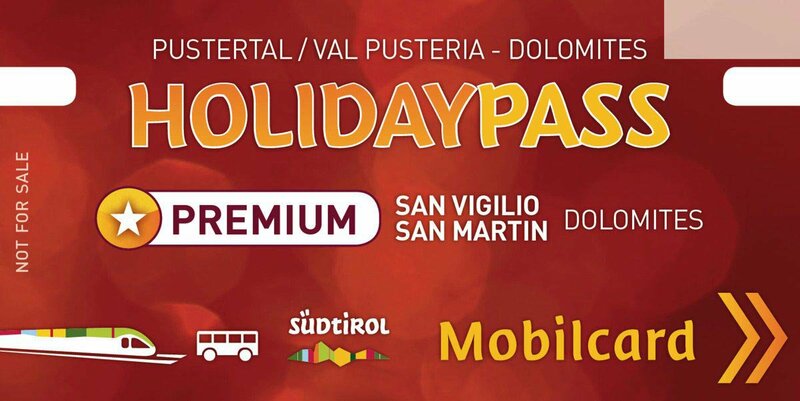 With the Premium Holiday Pass, you may profit from many discounts. You can also enjoy the weekly program of the tourism association free of charge.